10 years ago, in May 2008, at the Faculty of Economics at the University of Gdańsk, a unique, modern computer lab Thomson Reuters Data Suite (TRDS) was opened. The lab consists of 23 computer stations equipped with an access to Thomson Reuters Eikon – the main product of Thomson Reuters that enables the analysis of financial and commodity markets. It is the first project of its kind in Poland and also in Central and Eastern Europe. 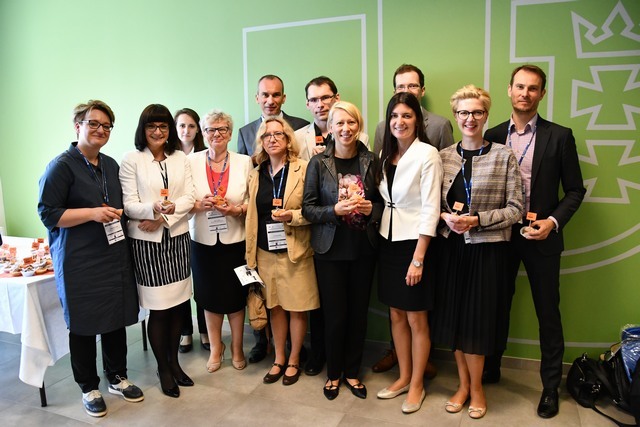 Since 2008 the cooperation between the University of Gdańsk and Thomson Reuters has been developing dynamically, offering more and more both to students and researchers. On the occasion of the jubilee, on May 24, 2018, during the international conference organized by the Institute of International Business Challenges of the Global Economy we celebrated 10 years of our cooperation. In the plenary session Agata Witczak, Site & HR Head Thomson Reuters in Gdynia, spoke about the power of networking in business. During the conference there was also a discussion panel titled: International financial markets and the role of data providers, where representatives of science and business discussed the changes in financial markets that have occurred over the past 10 years. The panel was attended by: Marcin Lechecki, Team Leader Fixed Income, Thomson Reuters Gdynia, Jakub Kupracz, Exchange Content Specialist, Thomson Reuters Gdynia, Konrad Lipski, Corporate Banking Director, Pomeranian District, HSBC, Magdalena Markiewicz, Vice-Dean of the Faculty of Economics, University of Gdańsk, Magdalena Mosionek-Schweda from the Faculty of Economics and Jan Jakub Szczygielski from the University of Pretoria. 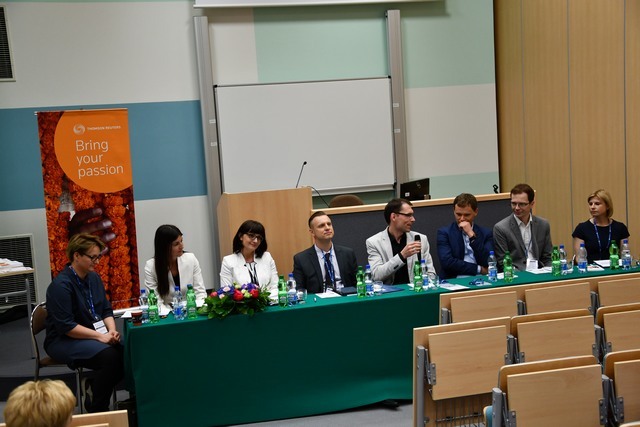 The panel was led by Agnieszka Lewińska-Mach, Regional Content Operations Manager, Thomson Reuters Gdynia and Urszula Mrzygłód from the Faculty of Economics. Panelists discussed about the role of cooperation between universities and business, challenges related to obtaining data for conducting scientific researches, as well as the importance of regulatory changes such as MIFID, political such as Brexit on financial markets, particularly on the international bond market. We hope that a fruitful discussion will inspire even better cooperation between Thomson Reuters and the University of Gdańsk! It is worth noting that the measurable effect of the cooperation between University of Gdańsk and Thomson Reuters is the Thomson Reuters Academy – dedicated subject enabling students increase their knowledge about financial markets and learn how to use Thomson Reuters products effectively. The classes offered in Polish are part of the obligatory program for students studying International Economic Relations and in English for International Business students. Since the beginning of the cooperation, 104 Thomson Reuters Academy courses were completed and attended by more than 2,000 students of the Faculty of Economics. Almost one thousand students took a certified English-language exam at the end of the course and over 320 of them gained the certificate. Students also use Thomson Reuters Data Suite if they are looking for data for their bachelor's, master's and doctoral theses. Access to Thomson Reuters Eikon provides Faculty’s researches with excellent opportunities for survey related to current market developments and time series analysis. We use Eikon while preparing articles, books and textbooks. Partnership with Thomson Reuters placed the Faculty of Economics University of Gdansk among the elite group of universities with similar laboratories: London Business School (UK), HEC (France), European Business School (Germany), Instituto de Empresa (Spain), Universitaet St. Gallen (Switzerland), INSEAD (France), Bocconi (Italy), IMD (Switzerland), American University in Dubai (United Arab Emirates). 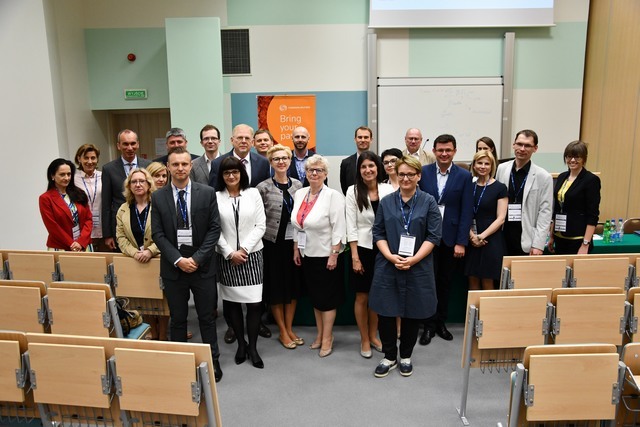 Cooperation between Thomson Reuters and the University of Gdańsk is also a form of sharing experience and knowledge. On the one hand, Thomson Reuters shares their knowledge and experience with students through workshops and lectures conducted by employees of the company. From the beginning of the cooperation we organized over 60 such meetings, very popular among students of the University of Gdańsk. On the other hand, the employees of the University of Gdańsk share their knowledge inviting Thomson Reuters employees to take part in regular classes. Since 2008, over 270 Thomson Reuters employees have attended university courses. Courses on financial topics (in Polish and English), such as international finance, financial crises, stock market and finance are especially popular. As part of the cooperation, we also organize a number of events for students at the Faculty of Economics. 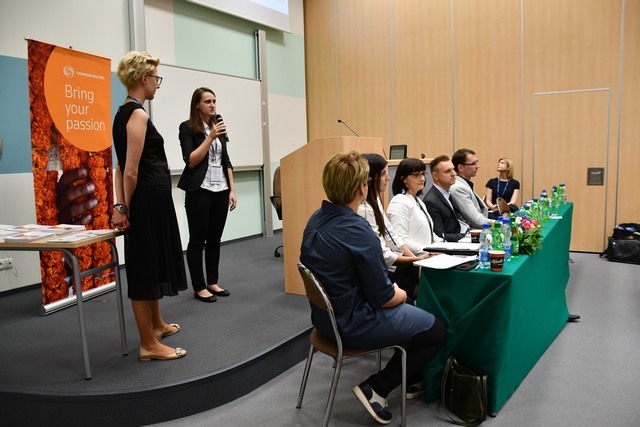 The recent ones include the Great Finance Challenge quiz and the active participation of Thomson Reuters employees in the students’ conference Trends in the financial sector in Poland and the world, organized every year by Student’s Scientific Society of International Finance. Responsible for the cooperation from the University of Gdańsk are: Danuta Marciniak-Neider, Urszula Mrzygłód, Joanna Adamska-Mieruszewska (Chair of International Financial Markets); from Thomson Reuters: Karolina Majowicz-Prager.